Technology continues to improve business for contractors around the world. Read and enjoy! Every minute wasted of your company’s day-to-day operations can affect your bottom line. Even seemingly insignificant inefficiencies can hurt your companies revenue. While established processes can improve workplace productivity, an electronic workflow, designed for electrical businesses, will further streamline your operations, improve communication, boost efficiency and help you save money. Rather than exhaust multiple resources or rely on traditional CRM systems to develop a workflow management system, electrical professionals look to 360e’s all-in-one platform to simplify managing your business and accomplish company goals. 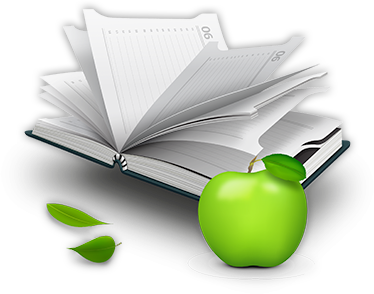 Reduce paperwork: Consider the time required to complete paperwork, file it, send copies and retrieve the files. Then consider the cost to purchase paper products and organizational supplies. The average office employee uses up to 10,000 sheets of copy paper annually. Of this paper, 45 percent of it ends up in the recycle bin at the end of the day. In addition to these expenses, locating or recreating lost documents can cost an average of $122. With 360e, paperless is not only possible, it’s simple. In a matter of minutes, 360e creates accurate estimates and invoices that you can be shared with a client via email. Rather than tediously log activities and re-file the paperwork, users can simply enter information into 360e while in the field. Document management features also allow you to upload photos and scanned documents, make job-related changes, manage permits, and log notes without ever stepping foot in an office. The stored information can be viewed in real-time, allowing both big picture and detailed analyses at any moment. Improved communication: Crafting emails, searching for client contact information, and requesting job status updates can take time. 360e simplifies communication by storing all contact details within one database, making it easy to call or email with the simple tap of the screen. In addition, the app allows you to send and receive messages and reminder alerts to employees. Eliminate double entry: Traditionally, workers fill out a service request or invoice in the field before entering the data into an office computer. Double entries take time and increase the potential for human error. With 360e, a field worker enters necessary information into the app just one time. The program instantly applies that information to all the relevant documents in the respective account. Simplify scheduling and time tracking: 360e eliminates error-prone scheduling calendars and employee timecards, enabling you to avoid double-booking an employee or fret over payroll and billing inconsistencies. Employees clock in and out using the application, while 360e uses the information to produce client invoices and time management-related reports. CRM is vital for nurturing relationships and promoting customer loyalty. 360e moves traditional CRM a step further by streamlining operations and integrating with field management software. As a result, contractors who use field management software can increase their revenue by up to $2.60 for every $1 of direct labor, increase productivity without increasing staff size, and improve their quoting volume by up to 61 percent. Because 360e is a custom-built software built specifically for your needs, you’ll never for pay for features you don’t need. As your business grows, it’s simple to add features that support your development. The competitive pricing packages help you save money while increasing efficiency. Take 360e for a spin by signing up for a free trial today.